The Trump administration has dismissed the threat of climate change, proposed cuts to climate research and remade scientific advisory boards. Yet it released a report on Friday that said climate change is real, dangerous and man-made. "There’s not too much tinkering or changes that can be made," said Ann Bartuska, who until September helped lead the Global Change Research Program, the 13-agency group that produces the National Climate Assessment. The 477-page report -- mandated by law to be issued every four years -- was written by dozens of scientists from government agencies, national labs and universities. 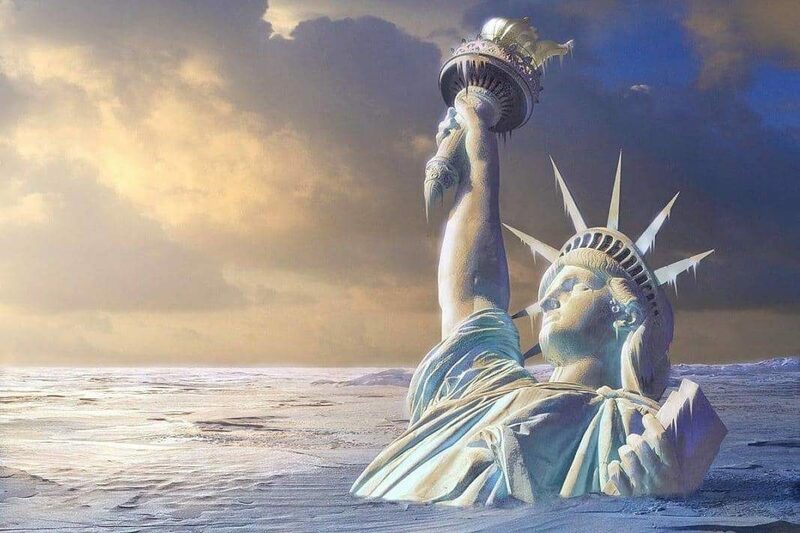 It concluded, “this period is now the warmest in the history of modern civilization,” and documented how that’s leading to melting glaciers, extreme storms and sea-level rise. Public drafts of the report have circulated for months, making it politically perilous to tinker with the findings. So, with editing a high-risk affair and the report required by Congress, the administration may have just decided to downplay it, said John Holdren, who ran the Office of Science and Technology Policy under President Barack Obama. "It would do more harm to block this report than to let it out," Holdren, now a Harvard University environmental policy professor, said in an interview. "They’re letting it out on a Friday afternoon, which is pretty much the standard approach for letting out something that you don’t want to get a lot of attention." Some critics blamed the findings on the previous administration. "It is unfortunate that the Trump Administration has released these Obama-era climate reports, without attempting to remove the junk science — and the reports are full of junk science," said Myron Ebell, the director of the Competitive Enterprise Institute’s Center for Energy and Environment, which doesn’t accept the scientific consensus about climate change. As under Bush, it’s unlikely the findings will shift any policy decisions, such as that by President Donald Trump to exit the Paris climate accord or by the Environmental Protection Agency head Scott Pruitt to ax the first rules to curb greenhouse gases from power plants. While the report has gained public attention, its findings matter less than what the federal government is actually doing, according to David Doniger, director of the Natural Resources Defense Council’s Climate and Clean Air Program. The office that released the report "has no ability to take action based on its findings," Doniger said. "The ability to act on climate change is in the hands of Pruitt and other Trump administration appointees. And I think they will do nothing in response to this report." The EPA referred questions to the White House science office, which didn’t return emails requesting comment. The report might cause legal headaches for the administration. Former members of Trump’s transition team have pushed the EPA to rescind the so-called endangerment finding, issued in 2009, which said climate change is a threat to human health and welfare. So far, Trump and Pruitt haven’t acted to change that finding. With this report, any move to do so might not hold up in court. On Monday, the Clean Air Council and two Pennsylvanian children sued the U.S. government to try to block any rollback of regulations to address climate change. The complaint, which had already been in the works, cites the recent National Climate Assessment’s heightened confidence that humanity is the primary driver of global warming. And there is another way this report could have a practical impact. Both Pruitt, the head of the EPA, and Rick Perry, the Energy secretary, have responded to questions about climate change by saying that the the climate is changing, but it’s not clear how much of a role humans are having on it. Now the government’s own report has dismissed that formulation. "It is extremely likely that human influence has been the dominant cause of the observed warming since the mid-20th century," the document reports. "For the warming over the last century, there is no convincing alternative explanation supported by the extent of the observational evidence." Bartuska, who is now head of the Land, Water and Nature program at Resources for the Future, said that so far, "this administration is not impeding the production of solid scientific facts around climate change." Still, the statements and policies from some senior administration officials "call into question what beliefs some of the individuals have," she said.